Entertainment articles are to be used in field meets at specially prepared sites as simulators of hand fragmentation and smoke grenades for commercially available rifle-attached grenade launcher for air and electrically driven air guns. The grenade is intended for simulation of shot from rifle-attached grenade launcher with subsequent pyro effect. 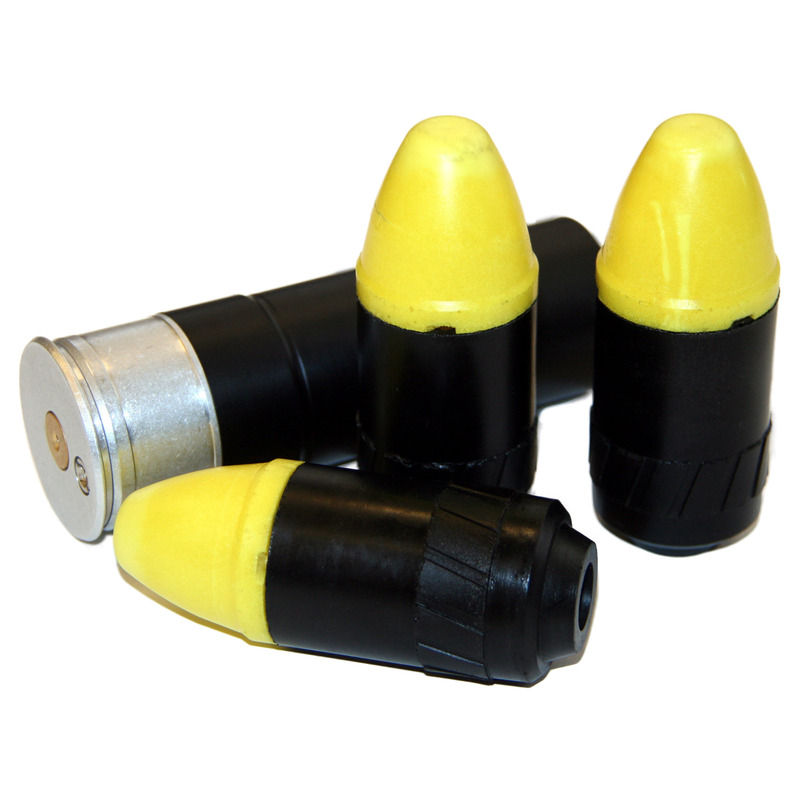 The grenade is made of safe foamed polyurethane and is a rotary cylindrical body with cone fairing. The body has rifles to ensure grenade steadiness in flight due to rotation. ГП-1 grenade is equipped with pyro element, retarder assy and simulating 6mm-dia plastic balls. The grenade is launched from the launcher by compressed air. The grenade is initiated 3 seconds after shot. — Grenade weight: 26 g.